The trail to Josephine Peak is a simple out and back on a fire road, which is not the most interesting hike one can do. However, the trail’s front-and-center location and apparent lack of highlights means you can often have this entire route to yourself. 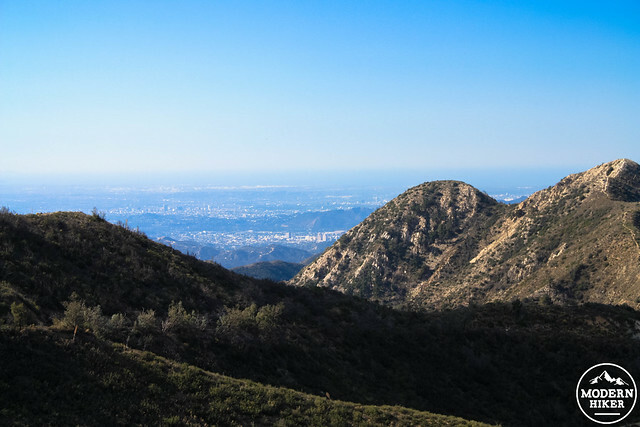 On clear days, the views from here are some of the best you can get in the San Gabriels. 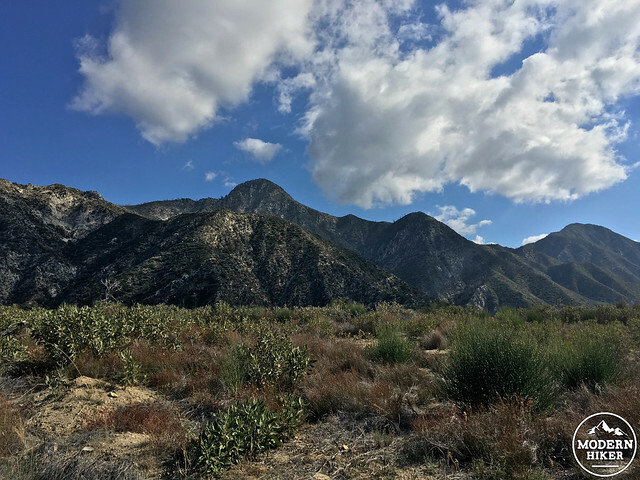 At various points along the trail, you’ll have great sight-lines to the interior of the San Gabriels, down the Big Tujunga Canyon, and into the L.A. basin and even to Catalina on the clearest of days. Park near the Clear Creek Ranger Station (open on weekends only) and pass around the gated fire road to begin your hike. If you’re parking along the road, be sure you’re completely off the pavement. 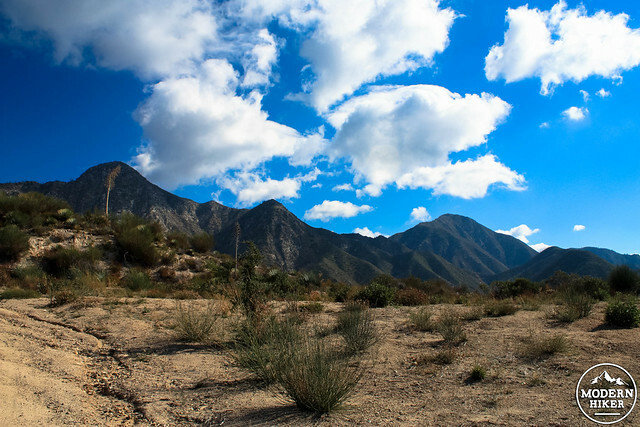 From the trailhead, Josephine Peak itself isn’t even really visible – but along almost the entire route, you’ll have some killer views of nearby Strawberry Peak – Josephine’s more well-known and more-traveled neighbor. The fire road is broad and relatively well-maintained, with a steady but not super tough incline the entire way. You’ll be hiking through some areas that were burned in the 2009 Station Fire. As of 2015, a lot of the vegetation has recovered or is recovering quite nicely, but if it’s windy you’ll want to keep an eye on any dead branches on the oak trees above you. On the north side of Josephine, also be sure to watch out for a few holdout poodle-dog bushes. 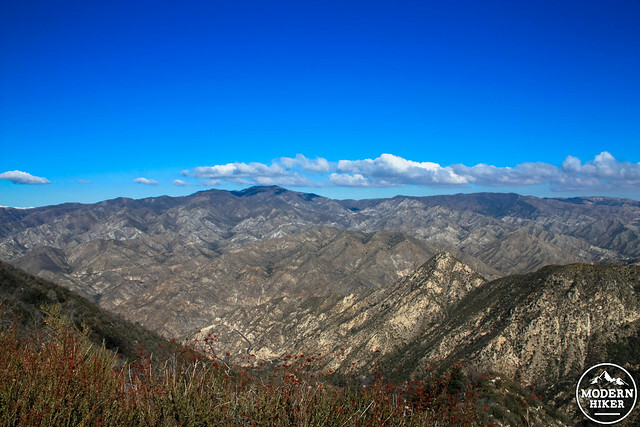 At about the mile mark, the road makes a turn to the north, providing some truly spectacular views of Strawberry Peak and Mount Lawlor to the east. By the 1.4 mile mark, the road begins a series of switchbacks to gain some elevation. While the trail itself is a bit monotonous on this stretch, you’ll at least have some amazing views to keep you company. At 2.4 miles, stay on the fire road to the left. There is a trail to the right that will take you across the ridge to Josephine Saddle, where you can tackle Strawberry Peak if you’re up for it. From here, the trail hugs the north side of Josephine Peak, which means it’ll be a little cooler than the sunnier southern side. Looking north, you’ll also have views of some of the hardest-hit regions in the Station Fire. As of 2015, a lot of these peaks and ridges still looking pretty bleak. Follow the fire road to the summit of Josephine Peak. 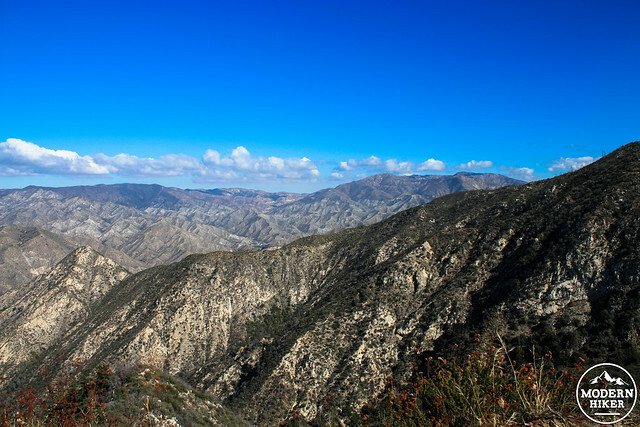 It’ll probably feel longer than you want it to be, because most of the good views are gone and there are a few false summits in view from the road that will make you think you’re closer to the turnaround point than you actually are. Again, watch out for poodle-dog brush along the sides of the road here. At 3.7 miles, the fire road ends. Look for a faint single-track trail that climbs up the final short distance. 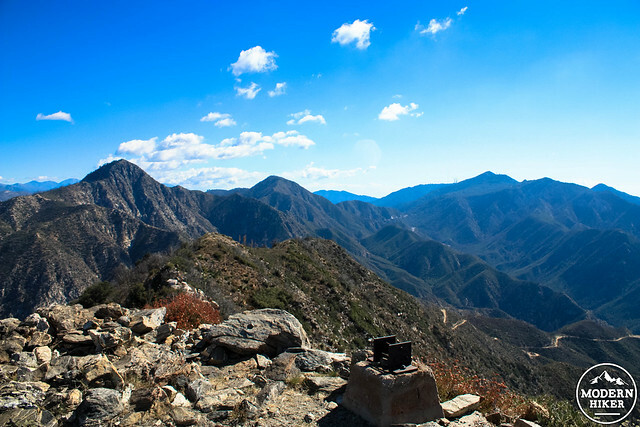 There will be a small solar-powered building on the peak’s western ridge, and just above this are the remains of another structure and a USGS marker (although the marker is labeled Mount Lowe). When you’re done soaking in the views, return back the way you came. Well-maintained fire road, with just a short stretch of trail at the very end. 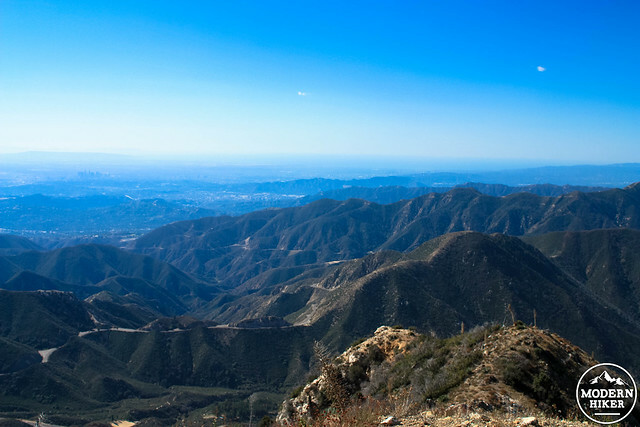 Take the Angeles Crest Highway (CA-2) into the forest near La Canada Flintridge. At the very first ranger station (Clear Creek), where the road meets the Angeles Forest Highway, park across the street from the Clear Creek Ranger Station. 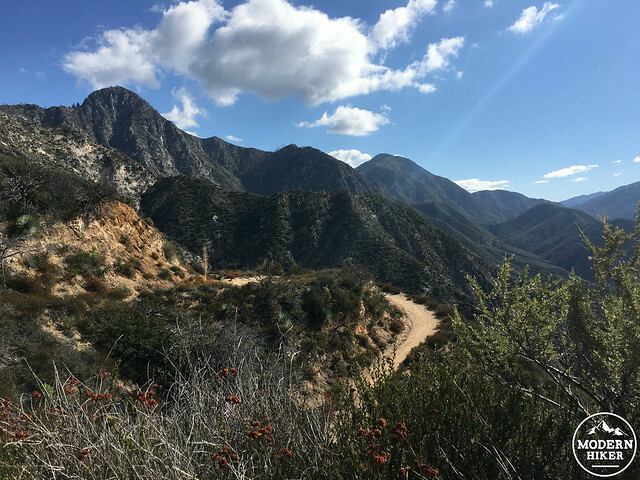 The fire road begins just around the corner on the east side of Angeles Forest Highway. Mike, we've got a nasty wordpress gremlin that's causing parts of the hike write-ups to not render properly, including the trail map. We're working on it and hope to get it back up ASAP! are you no longer posting an overhead of the map with your route in red to any of your trail write-ups? Thanks for the tip. Also did the same loop route in October 2015 and it was great. The paths are well marked on Googlemaps, for anyone else who's interested. My wife hike up to Josephine peak via Colby Canyon this past weekend (April 2015). The views really are great from the peak and if you hike up the Canyon it's an interesting ascent. My understanding is that it's only recently been opened since the station fire, one of the last trails to reopen. We made it a loop up Colby Canyon and down the fire road to Clear Creek ranger station. We then hoofed it about mile back down the road to our car. If you are looking for something challenging but not too far a drive up the 2, then this is a really good option. Only con was there where a good deal of flies on certain parts of the trail. If you go soon there are still some wild flowers blooming along the trail.